From the initial appearances in Deep Breath and Into the Dalek, there was foreshadowing that she would be a time lady. Her style of dress is oldfashioned and elegant which is reminiscent of the Gallifreyans clothing in the classic era. Also in one of the above scenes, ‘Heaven’/’The Promised Land’ Dyffryn Gardens with its fountain and gardens looks very much like a Tardis console. This is reinforced in future scenes with the circular windows similar to the circle things of previous tardises. 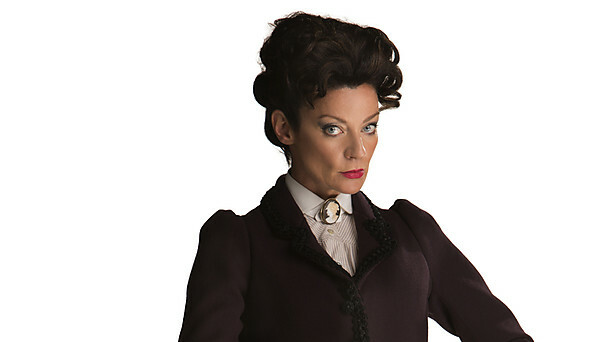 I had no objection to Missy being the master as all her appearances prior to Death in Heaven had shown her as a controlled, sassy woman to challenge the Doctor (even with the classic Moffat female character traits). What annoyed me was Death in Heaven, after the reveal, where she reverted to basically playing John Simm’s version of the Master. All the control and power descended into “craziness” and over the top facial expressions. However I did like the expressiveness and naivety in the scene where Missy presents the Doctor with the cyber-bracelet and reminded him of their friendship growing up. I was also slightly disappointed that Missy was the Master because I would have liked to see the ‘Nethersphere’ idea explored further. Those who had entered the nethersphere in the earlier half of the series including the most memorable (half face droid) were not revived for the finale. They had entered with the hope of it being heaven or “the promised land”. I would have liked an arc questioning heaven/hell and all the spiritual representations. I suppose I was kind of hoping for an arc and finale reveal like the final series of Ashes to Ashes where we discover (spoilers!) that the 1970s in Life on Mars and 1980s in Ashes to Ashes have not been a dream state whilst the protagonist has been in a modern-day coma but is in fact limbo and the direct comparison between Gene Hunt as an angel (of sorts!) and Jim Keats as the devil. I suppose religion and spirtualism are probably controversial topics for a family programme such as Doctor Who though saying that the actual theme of death and armies are quite dark considering the younger end of the audience.